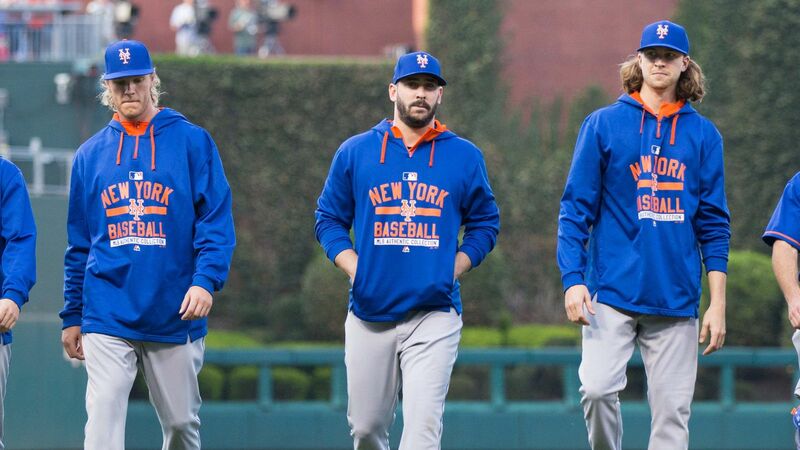 Mets Incredible and Surprising Season Leads Them to World Series! When the 2015 season began, the Mets were not the team from New York fans expected to be playing deep into October. With the season opening against the division-rival Washington Nationals, they could only hope not to get swept. The Mets surprised everyone by taking 2 out of 3 to open the season. But it’s only April so why get your hopes up. Those smiles turned to frowns quickly after losing two in a row another rival, the Atlanta Braves. In Game 3, the team managed to pull off a win and avoid a sweep. Beating the Braves would lead an 11 game win-streak. For the first time in years, Mets fans didn’t have to hide or say next year, they could actually go back and forth with Yankees fans. Baseball is known to be a sport of hot and cold streaks. Despite that early 11 game win-streak, on July 4th, the Mets found themselves at .500. Non-fans began saying here goes the beginning of the fall. After all, everyone was waiting for the Nationals to run away with the division. They just signed Max Scherzer in the offseason and had the likely National League Most Valuable Player, Bryce Harper playing out of this world. August was the turning point for the Mets. After a heartbreaking, delayed-game loss to the Padres fans felt the Mets season was starting to take a turn for the worse. On July 31st they entered a 3-game series with the Nationals, whom they trailed by 2 games. They went on to sweep the series, and tie the Nationals for the division. The following series, they swept another division foe, the Miami Marlins and suddenly the Mets were on top of the National League East for the 1st time since June 19th. As they entered the month of September, fans could not help but be reminded of the 2007 team who at September 12th held a 7-game division lead. On September 12th, 2015 the Mets led by 9.5 games and their lead would not drop to less than 6. The 2015 Mets did what no one thought they could do, win the National League East. But it would not be an easy road to the World Series; they would be faced with the task of facing the Los Angeles Dodgers. The Dodgers had not one, but two aces; Clayton Kershaw and Zack Greinke. While the Dodgers have two aces, the Mets have 3, Jacob deGrom, Matt Harvey, and Noah Syndergaard. deGrom was absolutely degrominant! In Game 1 he beat Kershaw and Game 5 he beat Greinke and the Mets returned to the National League Championship Series for the 1st time since 2000. Throughout the season, the Mets pitching was dominating, but the offense was the question. 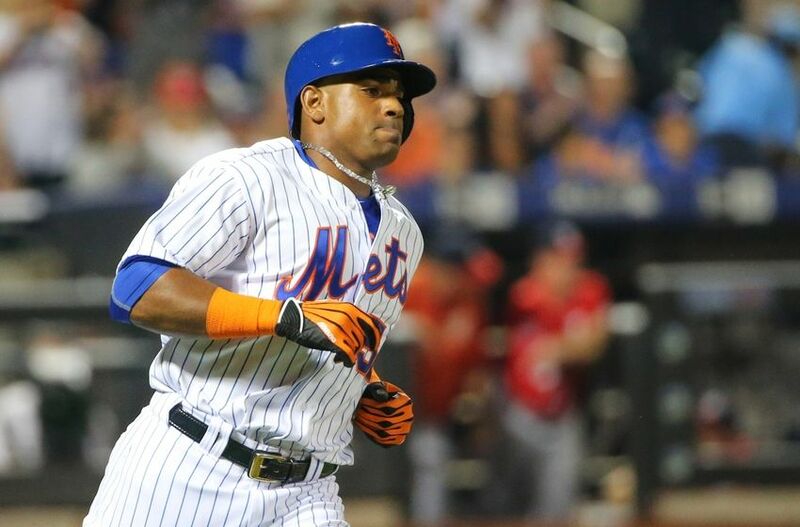 After acquiring Yoenis Céspedes near the trade deadline, the Mets lineup added instant pop. As they entered the NLCS, they would be faced with the task of trying to slow down one of the youngest and hottest offenses, the Chicago Cubs. But the Mets had one of the hottest players in the playoffs, Daniel Murphy. Murphy went deep in every game of the NLCS, which led to setting the postseason record of hitting a home run in 6 straight games. The New York Mets would go on to sweep the Chicago Cubs and advance to the World Series for the 1st time since 2000.